An elegant open source theme for your open source project blog. 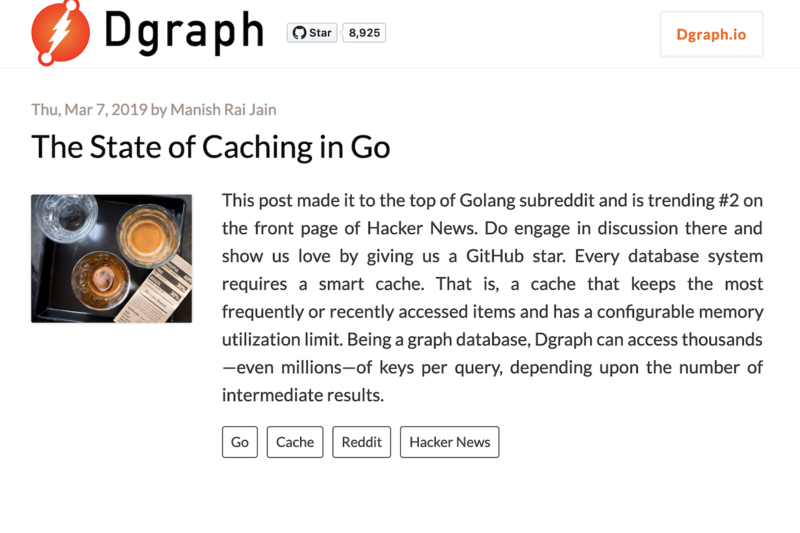 Dgraph blog theme is an ideal responsive theme for your blog. It has a list view with a image for each post and a beautiful page for individual posts. You can see it live in action on the Dgraph Blog. Please see the sample config.toml under the exampleSite directory. Sample files author_image.html,author_name.html and author_detail.html for author’s and editor’s name, image and details are added in layout/partials/. Theme also provides pagination, for changing the number of blogs listed add paginate = <number of blogs per page> to config.toml (by default it displays 10 blogs). We follow Git flow. So please create feature branches from develop and submit a PR for any change. Danijel Grabez for designing and coding up the theme.